Today’s hiring landscape looks a lot different than it did a decade ago. Even 2 years ago. You can't count on the same strategies that worked last year to deliver steady store-level applicant flow in 2019.
of their total recruitment advertising budgets to a performance-based approach. 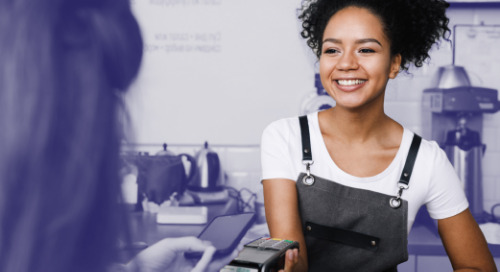 But there's a lot of different ways you can choose to target those performance dollars and efforts ... so, how do you know which one is best for your stores? When it comes to hiring hourly workers, you shouldn’t pay for job postings and cross your fingers. With pay-for-performance you pay only for results. Hourly recruiting has gone through a significant evolution, with control shifting from employers to job seekers. How does your hourly recruiting performance stack up? Download the Q4 Hourly Recruitment Benchmark Report below for results from 300+ Snag customers in our recent Pain Points &amp; Priorities survey. How hourly recruiting has evolved—and what to do about it. Level-up with this quick, essential read. Recruiting assistance from a trusted partner can make all the difference when you’re trying to run a business and maintain your sanity. AI has gradually become a normal part of everyday life. Learn how today’s hourly trends affect how you hire—giving you a competitive edge in today’s tight labor market. Your Snag Careers Site is one of your best recruiting tools. Let's set yours up! Learn more about how to modernize your recruiting and hiring process. Check hiring tasks off your personal to-do list and discover how Snag reduces stress for busy employers in our annual seasonal hiring checklist. It’s really easy to get I-9 compliance wrong. Decentralized hiring, high turnover and more non-U.S. workers make an already difficult process even more impossible in hourly workplaces. In Snag’s free guide, ABC: Always be compliant, you’ll get 5 best practices that will keep your business’s onboarding consistent and compliant. Ever wonder what it's like to get audited by DHS/ICE? Hear Wildflower Bread Company's Form I-9 audit story, including how much it ending up costing them. What recruitment trends are keeping top HR Talent leaders up at night? Get Snag’s cheatsheet on 4 up-and-coming trends that will change how you’ll recruit hourly workers in 2018. It’s time for you to start recruiting the underemployed. Google’s job search tool makes it easy for your job seekers to find the right hourly position. Learn how to optimize your jobs for Google so they'll rank higher. They’re connected, ambitious and flexible. They also happen to be 1 in of 5 of today’s hourly workers --we're talking about Gen Z. Learn more about this new generation of worker.